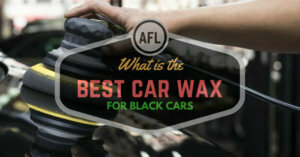 Are you the type of car owner who likes waxing and polishing the paint? Good for you! 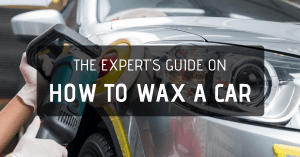 Frequent waxing and polishing are one of the easiest ways to preserve the color and clarity of automotive paint. But when was the last time you paid attention to the glass and windows? You see, if you think waxing or polishing is tough, wait until you get to cleaning car glass. Perhaps one of the toughest to clean is the windshield. Over time, the glass will turn hazy and streaky. This will obstruct visibility as you drive. But simply wiping the windows is not the end of the job. If you view the glass directly under the sun or from certain angles, you’ll still see signs of streaking and hazing. This is the reason why it is important to have the best car window cleaners in your auto detailing kit. Combined with a top quality microfiber towel, the best car window cleaners can achieve a brilliant job in half the time. The problem with ordinary glass cleaners is the presence of ammonia. Ammonia is utilized to remove film, grease, haze, oil, and fingerprints on the clear glass. And while ammonia easily dissolves dirt on smooth and hard surfaces, it has a tendency to leave streaks. When it comes to cleaning auto glass, you need the right tools for the job. Here are the best auto window cleaners to easily remove road film and grime on the exterior and interior glass surfaces. 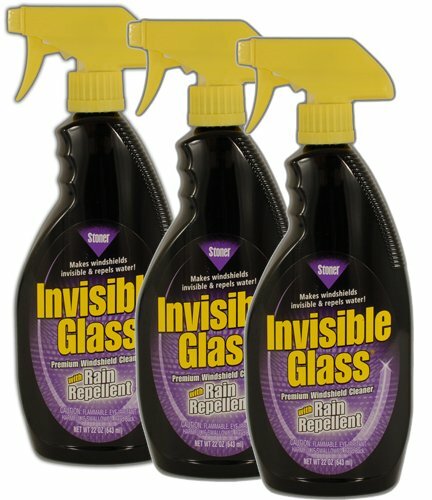 The reason why this 3M Glass Cleaner is on top of the list of the best auto glass cleaners is due to the unique no-drip foaming action. 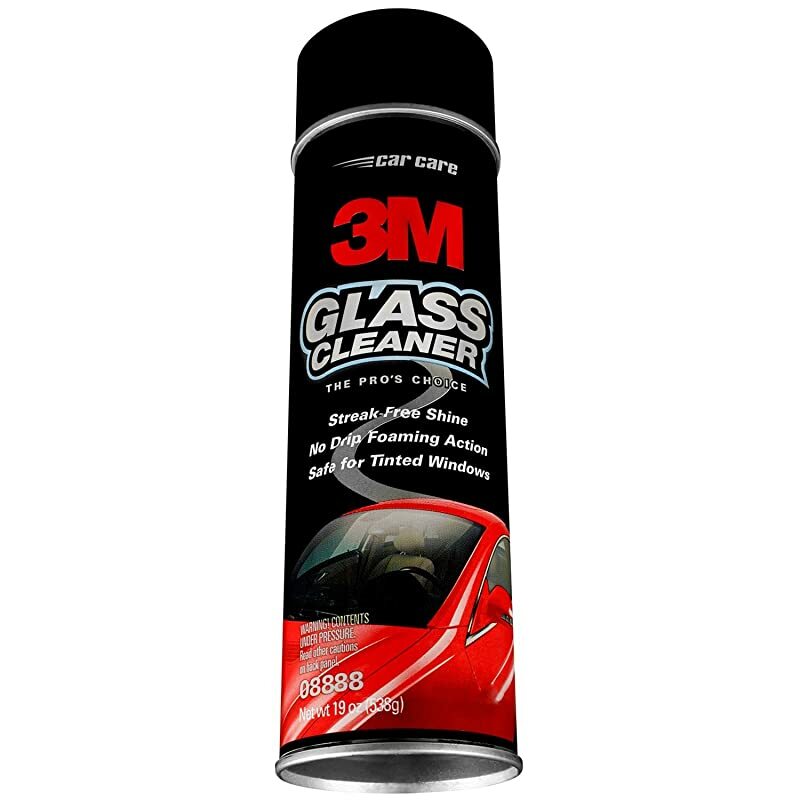 Unlike liquid glass cleaners, the 3M Glass Cleaner is an aerosol-based foam that clings to smooth and vertical surfaces such as auto windshields and glass. The formula can easily cut and dissolve stubborn dirt, oil, and grime to leave a streak-free and crystal clear finish. This product is safe on plastic and vinyl parts and will not dry out rubber trim. It is also safe to use on window tint so you can easily clean interior glass surfaces with a simple wipe. But when cleaning interior glass, you’ll need to use the right technique. Never spray the glass cleaner directly on the glass itself. The trick is to spray the cleaning solution in a dry microfiber towel and wipe the glass using a vertical motion. Turn the cloth over and spray more glass cleaner. Now wipe the glass using horizontal motions to provide complete coverage. But for cleaning outside glass, it is always good to wash the glass before using glass cleaner. It is easier and more economical to wash the interior glass with soap and water before finishing off with a glass cleaner. And since the 3M Glass Cleaner comes in an aerosol can, a little foam can definitely go a long way. 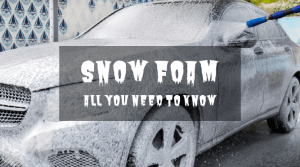 Spray the foam on exterior glass surfaces and wait 30 seconds before wiping off with a microfiber towel. 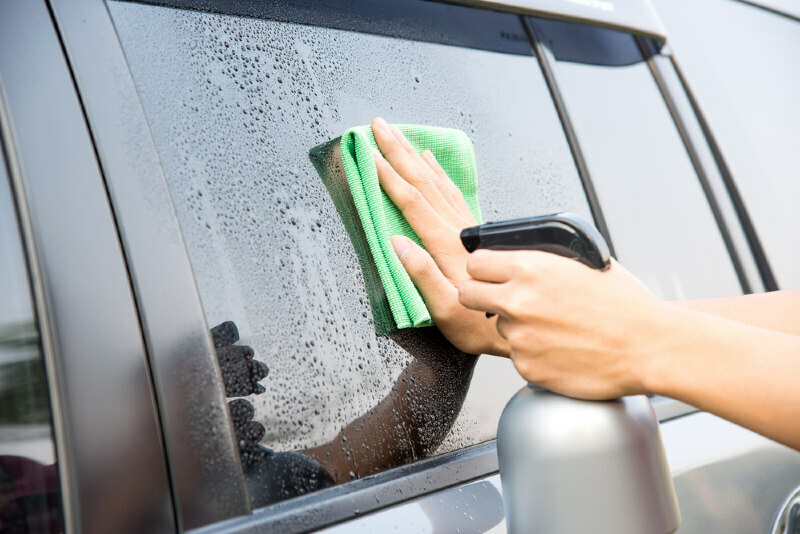 Doing this at least once a week will not only give you a cleaner and clearer glass, but it will prevent thick dirt and road film from damaging the surface of the glass. I like to think of the Brillianize Plastic/Glass Cleaner and Polish as the underdog in this list of best car window cleaners. But in truth, this is one of the best and most affordable auto glass cleaners you can buy. 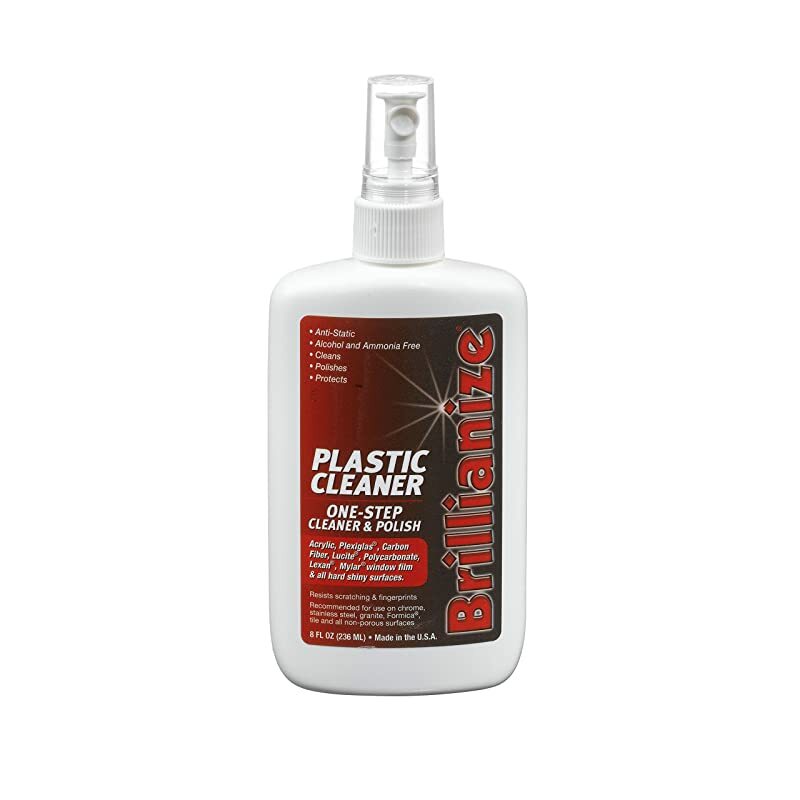 Brillianize Glass Cleaner is actually a 2-in-1 product. 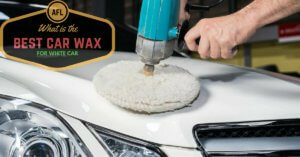 It lightly polishes and cleans auto glass to reveal a smoother and clearer surface. Now, this might make you wonder why polishing car glass is essential, and the answer will surprise you. While the glass and windows in your vehicle will feel smooth to the touch (after washing and removing dirt), taking a closer inspection will reveal the truth behind the smooth surface. The surface of the glass will have numerous deep pits that trap dirt and grime. The pits are like small surface cracks that are caused by stones, rocks, and larger particles of dirt hitting the glass and windshield as you drive. Similar to paint, the only way to get rid of those small pits in the glass is to lightly polish the surface. This is where the Brillianize Glass Cleaner and Polish shines the most. It doesn’t contain alcohol or ammonia. Instead, the glass cleaner contains mild abrasives to restore smoothness and clarity. This glass cleaner is great for acrylic, glass, Lexan, Plexiglass, Formica, chrome, bright metal, and stainless steel. It can clean and restore the look of all hard and shiny surfaces in your vehicle. But it does wonder when applied to car windows. Simply spray on, and wipe off with a clean microfiber towel. Turn the towel over and give it a final wipe. Best of all, Brillianize Glass Cleaner only costs less than $10. This product will not only clean, polish, and restore glass surfaces, but it will also leave a layer of protection to repel dirt, oil, and fingerprints. Now to me, that sounds like a good deal. Without a hint of doubt, Stoner Invisible Glass is one of the best car window cleaners out there. And while this 3-pack may seem expensive at around $17, you do get 3 spray bottles of top-quality glass cleaner. But there’s a catch. While Stoner Invisible Glass is capable of cleaning car windows without leaving haze or streaks, the rain repellent feature should be taken very lightly. This product is marketed as a glass cleaner and rain repellent. But in truth, it functions brilliantly only as a glass cleaner. If you want a product to treat glass, windows, or even shower doors to prevent water stains and soap scum, you might want to try out Rain X or any other glass treatment. But for cleaning glass, Stoner Invisible Glass will handle the job quite well. 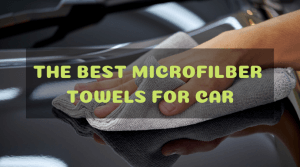 All you need is a clean microfiber towel. Start with a clean surface and spray the cleaner directly on the glass. Wipe off with a clean towel and turn the towel over to give it a final wipe. When cleaning interior windows, spray Stoner Invisible Glass on the cloth and wipe the glass clean. Since this product does not contain ammonia, you can expect a streak-free shine in half the time. Stoner Invisible Glass is not exactly known as a rain repellent. But for tough cleaning jobs such as windshields and car windows, you can’t ask for anything more. There’s no question Meguiar’s is one of the leaders in automotive detailing products. And while the Meguiar’s Perfect Clarity Glass Cleaner is the most expensive glass cleaner in this list, it offers a unique professional-grade formula that easily cleans and dissolves road grime, smoker’s film, bird droppings, bugs, tree sap, and fog with a single application. Best of all, this product is formulated with anti-hazing properties to deliver lasting clarity. 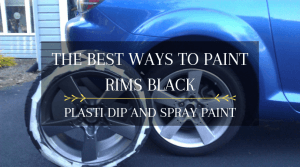 It is safe to use on tinted windows and will not harm rubber or plastic parts. But even though this product is strong enough to dissolve road grime and bug residue from the glass, you will end up using too many towels to provide a complete and thorough clean. This is the reason why it is important to wash the vehicle before using a glass cleaner. Cleaning the glass should be done after washing and drying the vehicle. This means applying glass cleaner at least once a week, or each time the car is washed with water and car shampoo. Starting with a clean surface will also prevent light scratches from damaging the glass. If not for the price, the Meguiar’s Perfect Clarity Glass Cleaner should be on top of this list. But like I said, the unique professional-grade formula means you’ll spend less time cleaning without worrying about streaks and haze. 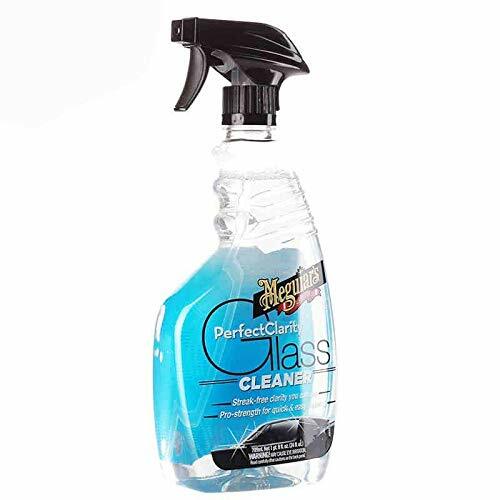 Sprayway is offering a great deal for their glass cleaner. Each aerosol can contain 19 oz. of powerful glass cleaner and you get eight cans for the low price of $32! This product has the same no-drip foaming action as the 3M Glass Cleaner and is ideal for deep cleaning applications. Is the Sprayway the best window cleaner? Based on my experience, it does leave a streak-free and crystal clear finish, but only if you start with a clean surface and only use a freshly washed or clean microfiber towel. Spray the glass cleaner liberally on the glass and allow the product to cling for at least 10 or 20 seconds. After that, wipe off with a clean towel to enjoy a cleaner and streak-free finish. Turn the towel over and give the glass a final wipe to reveal a sparkling smooth shine! When cleaning interior glass, spray the foam directly on the cloth and wipe the glass clean. This product is safe to use on automotive tint and will not harm plastic or rubber parts. If you own more than one or two vehicles, this 8-pack glass cleaner from Sprayway delivers incredible value. There is a right and proper way to clean car windows. It all starts with the washing process. 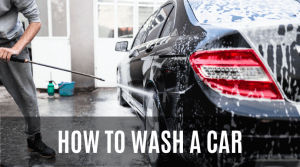 Step 1: Rinse the entire vehicle with clean water. This will remove loose dirt and dust. Step 2: Mix car shampoo with water in a small bucket. The cleaning solution should be thick, rich, and foamy. Step 3: Use a wash mitt to apply the car shampoo on all exterior surfaces. I like to wash all glass surfaces before cleaning all painted surfaces. Step 4: Rinse the vehicle well with clean water. 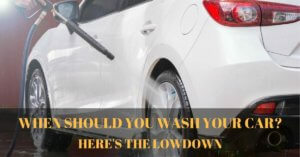 Make certain to remove all traces of car shampoo or suds on the vehicle. 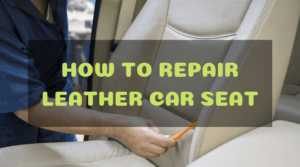 Step 5: Now is the best time to inspect the condition of the windshield and car windows. If your vehicle is relatively new, all you need to do is to spray glass cleaner and wipe off using a clean towel. But for older cars with dirty glass filled with water spots, road film, and deep-seated dirt, you’ll need to use a clay bar. Step 6: Grab a small piece of a new clay bar and a bottle of glass cleaner. The glass cleaner will act as the lubricant for the clay. This will allow the clay to pick up all traces of dirt and dust on the exterior glass without scratching. Step 7: Apply a liberal amount of glass cleaner on the surface and gently rub the clay to pick up deep-seated dirt. Do not allow the surface to dry when treating with clay. Wipe the glass with a clean towel to remove all traces of residue. Step 8: After using a clay bar, you will notice the marked improvement in the cleanliness and clarity of the glass. All that is needed is to finish it off by giving the glass a final wipe using a separate towel and glass cleaner. Simply spray and wipe off. You will also notice the glass will be smoother and easier to clean. And since all the dirt is removed by the clay, the glass will have a lesser tendency to streak as you wipe the surface. 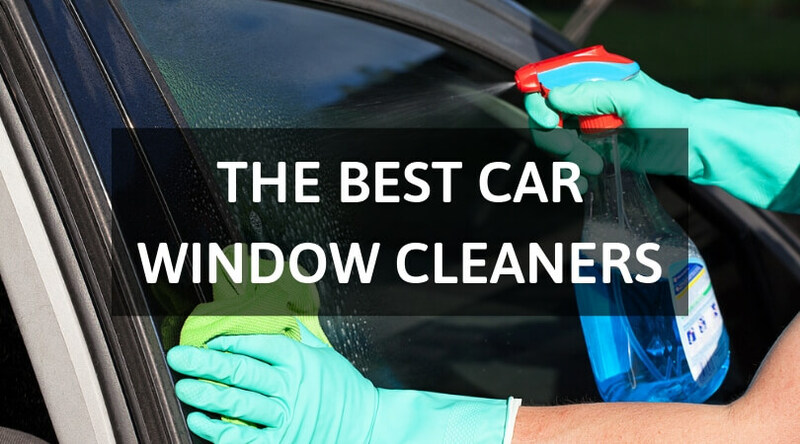 All the products in this list of the best car window cleaners are winners. Special mention goes to the Brillianize Glass Cleaner and Polish since it can lightly polish the surface to reveal a cleaner and smoother surface. Also worth mentioning is the 3M Glass Cleaner and the Stoner Invisible Glass.